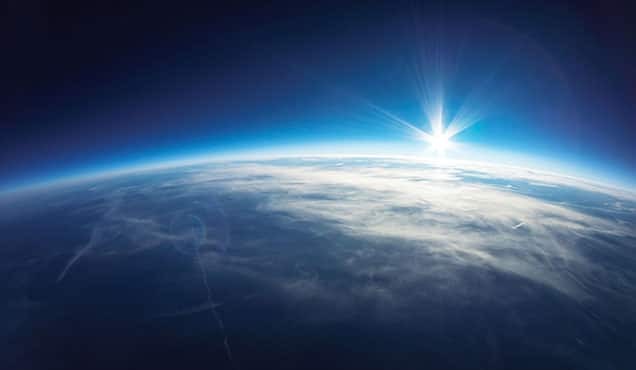 It has been a challenging year for investment grade credit investors. Since the start of 2018 IG tracking ETFs have declined in value by 6% on average. 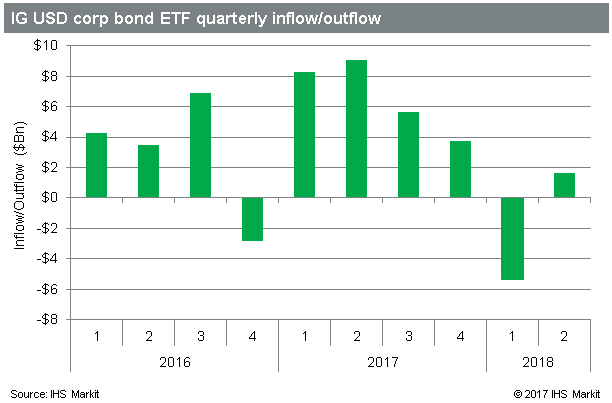 The IG ETFs also sport a 4% YTD underperformance relative to high-yield tracking funds, which appears to be driven by a greater inverse correlation between IG bonds and rising US treasury yields. While credit shorts took some exposure off during the rally in the last days of March and early April, they've since built the position to over $55bn notional, an increase of $7.8bn since the start of 2018. 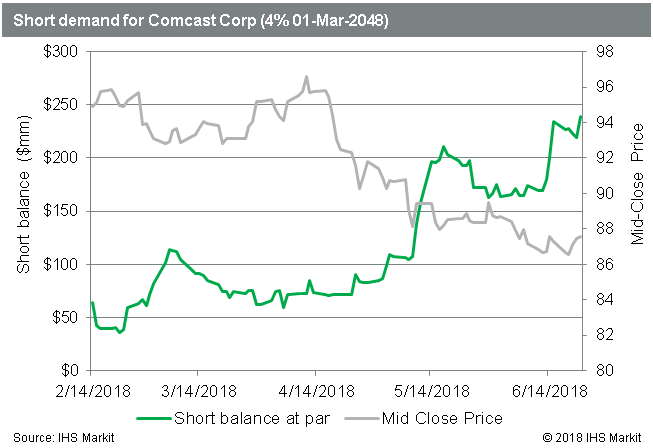 Comcast Corporation bonds have seen a $400m QTD increase in short balances, the largest of any USD IG corporate bond issuer, putting the total at nearly $750m. The most shorted issue, the 4% 2048 maturity, has traded down from 95.3 to 87.5 since the start of Q2. 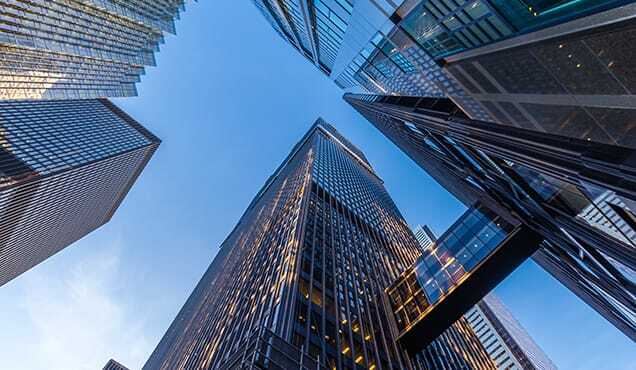 The sell-off and surge in short demand for the bonds came on the back of the firm's $65bn cash offer for Twenty-First Century Fox assets, the debt funding of which would likely result in downgrades for the outstanding debt. 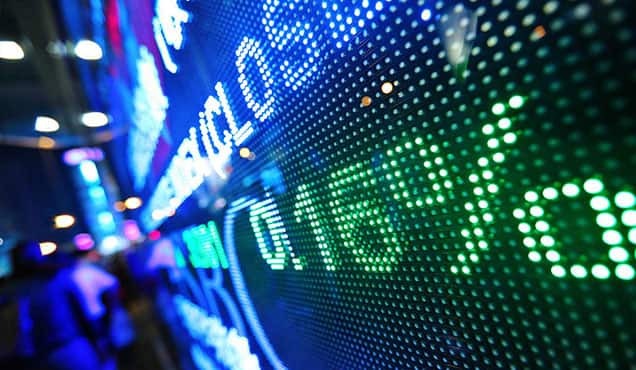 After the announcement of the offer shorts tripled the size of the short position to $238m. 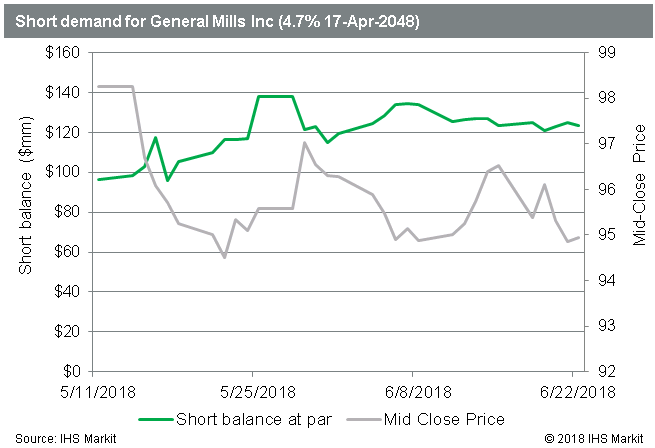 Bonds issued by General Mills have seen the 2nd largest increase in short balances since the start of Q2, moving from less than $40m at the start of the quarter to over $275m at present. The bulk of that increase is in the newly minted issues yielding 4.7% maturing in 2048. Since the bonds were issued in April, in order to fund the purchase of Blue Buffalo Pet Products, they have traded down from par to just under 95 cents, or a yield of 5.03%. 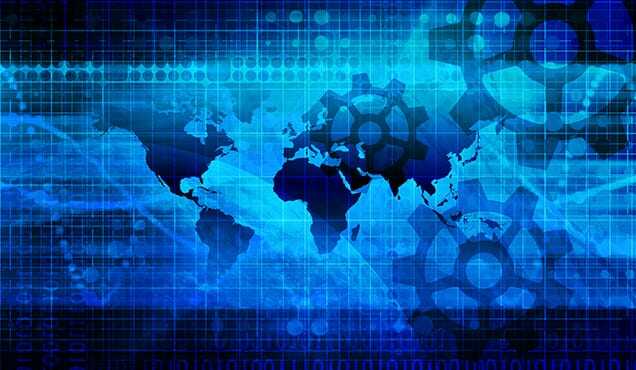 ETF investors are warming back up to the investment grade funds, reflected by a $1.6bn QTD inflow into the products. That's a positive indication after an outflow of $3.2bn in Q1, the worst on record for the USD investment grade funds. 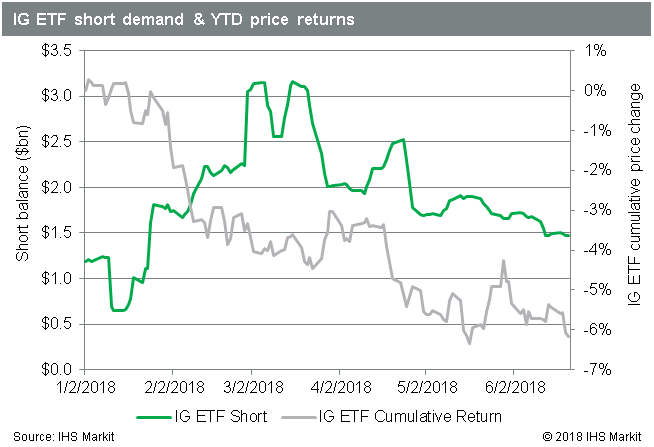 While the short position in the underlying IG bonds has increased to a post-crisis peak, the short positions in the IG ETFs have declined by over 50% since mid-March when they peaked at over $3bn. 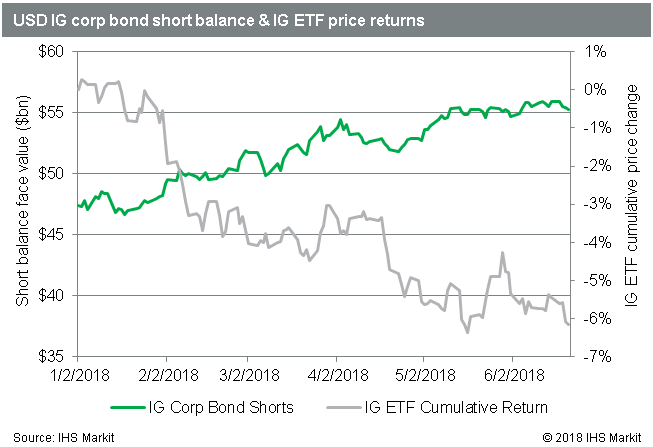 While there may be some signal in the divergence between IG ETF short covering compared with underlying bond short balances trending up, it's worth noting the scale. At the peak short positions in the ETFs were less than 10% of the underlying IG bond short balances. 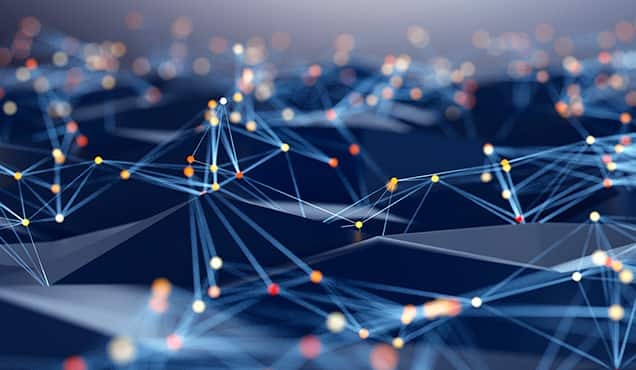 While the short position in underlying IG corporate bonds has just reached a new high, the signal from the ETFs suggests that shorter term tactical traders have moved on from the trade. The sharp underperformance relative to HY is notable, but if the Federal Reserve stays the course with rate hikes the trend may continue. 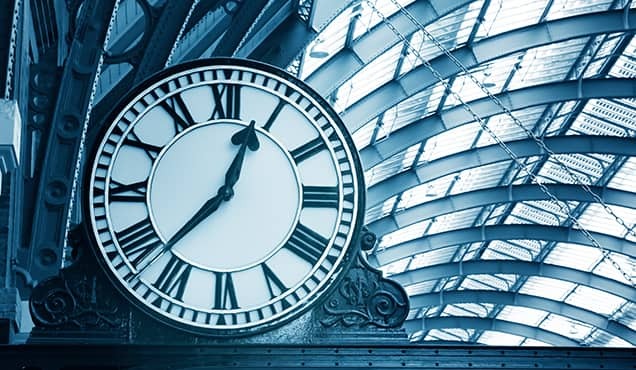 There have been some particularly profitable short trades in specific issues against the backdrop of IG issues generally underperforming, and ongoing refinancing needs suggest trading opportunities will continue to present themselves.